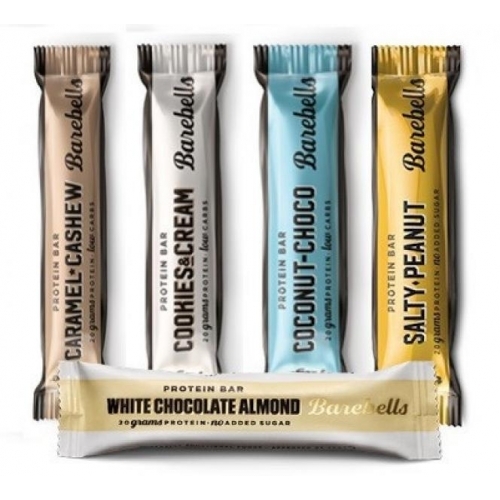 Barebells Protein Bars - 100% chewable deliciousness- in five classic flavours. 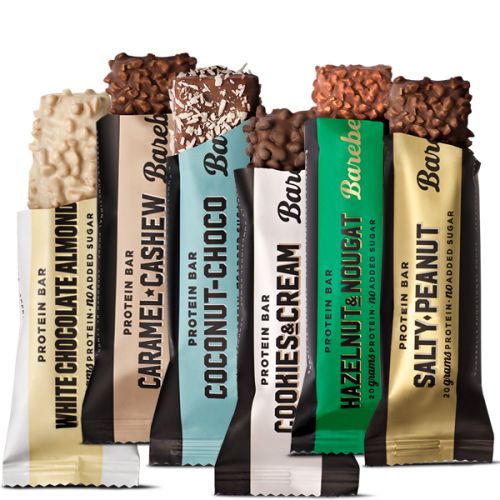 Barebells Protein Bars were bornt to satisfy both your taste buds and your abs. All low in sugars and with 20grams of protein. White Chocolate Almond - As delicious as it sounds, it is the perfect – and guilt-free - choice for everyone on the lookout for that extra protein fuel or when your taste buds want something really tasty. 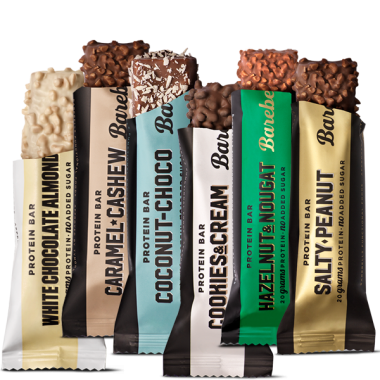 The bar is completely free from added sugars and is enriched with 20 grams of protein. White chocolate and almonds are a match made in heaven! Salty Peanut- Salty peanuts and sweet chocolate - literally like a match made in heaven. This tasty little treat contains 20 grams of protein and no added sugar. Talk about happy snacking. Cookies&Cream- Inspired by the most loved cookie in American history, this bar is sure to satisfy any crazy, creamy craving. On top of that it has 20 grams of protein and no added sugar. Caramel&Cashew - Tired of eating bars that taste like cardboard? This bar is far too gooey and chocolaty to compare to anything but the most decadent of desserts; and yet it has 20 grams of protein and no added sugar. Staying fit has never been this delicious. Coconut Choko- A tropical dream come true. 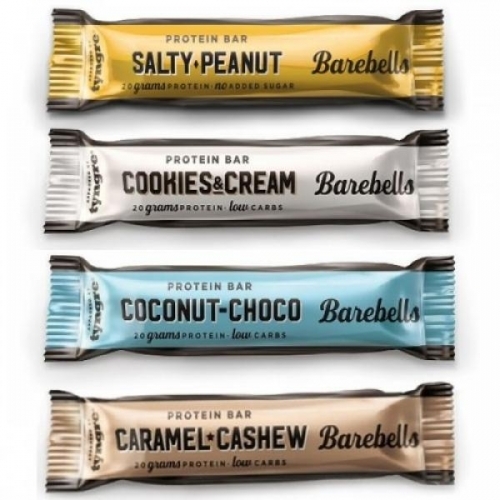 Barebells Coconut-Choco Protein Bar is exploding with coconut flavour, wrapped in creamy milk chocolate and smothered in real coconut flakes. High in protein and without added sugar. Go ahead and pinch yourself.